How big or small your position is should not be a random decision. Position size is precisely calibrated for the risk on the trade and your personal risk limit. Position sizing can make or break a trader; too risk adverse and the account won’t grow, take positions that are too large and the forex market can wipe out an entire account in one big move. Don’t let this happen to you. Here’s how to determine your personal risk limit and trade risk, as well as how to come up with the right position size so you capitalize when conditions are favorable, and won’t lose your shirt if the trade doesn’t work out. Set a percentage amount of your account you’re willing to risk on each trade. 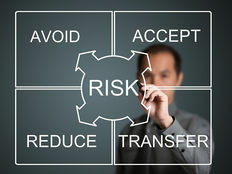 Many professional traders choose to risk 1%, or less, of their total capital on each trade. If they lose on a trade that means they have only lost 1%, and still have 99% of their capital intact. In this way, even a string of losses—and a string of losses will occur to every trader significantly hurt the account. Risking even less than 1% is common, but some traders will risk up to 2% with a proven system. If you’re starting out and don’t have a successful track record, stick to risking 1% or less of your account on each trade. The limit set on this step applies to all trades. For example, on a $5,000 trading account, risk no more than $50 (1% of account) on a single trade. This is your trade risk, and is controlled by the use of a stop loss. Establish where the stop loss will be for this particular trade; measure the distance in pips between it and your entry price. This is how many pips you have at risk. Based on this information, and the account risk limit from step 1, the ideal position size can be calculated. The stop loss is placed based on a strategy. Find the ideal spot for the stop loss, and then calculate the position size. Don’t pick your position size first, and then place a stop loss to accommodate it. Assume a $5,000 account and a risk limit of $50 on each trade (1% of account). You buy the EUR/USD at 1.3600 and a place a stop loss at 1.3550. The risk on this trade is 50 pips. We now know the risk on the trade is 50 pips, and we can risk $50. It’s now time to determine the ideal position size. Determine position size based on account risk and trade risk. Since it’s possible to trade in different lots sizes, be aware of which you are using. A 1000 lot (micro) is worth $0.1 per pip movement, a 10,000 lot (mini) is worth $1, and a 100,000 lot (standard) is worth $10 per pip movement. This applies to all pairs where the USD is listed second, for example the EUR/USD. If the USD is not listed second then these pip values will vary slightly. If the price moves from 1.3600 to 1.3601 that is a pip movement, and will result in making $0.10, $1 or $10 based on the lot size taken. Traders can use various combinations of these lot sizes, and trade multiple lots. Assuming the 50 pip stop in the EUR/USD, the position is: [$50/(50x$0.1)] = $50/$5 = 10 micro lots. The position size is in micro lots because the pip value used in the calculation was for a micro lot. For the number of mini lots use $1 instead of $0.1 in the calculation, to get 1 mini lot [$50/(50x$1)] = $50/$5 = 1 mini lot. The pips at risk will often vary from trade to trade, so your next trade may only have a 20 pip stop. Use the same formula: [$50/(20x$1)] = $50/$20 = 2.5 mini lots, or 25 micro lots. Figure 1 shows another example of this, using a trade example on a chart. As account capital fluctuates up and down, so will the dollar amount of the account risk. For example, if the account increases to $6,000, then risk $60 on each trade. If the account value drops to $4,500, only risk $45 on each trade. When the USD is listed second in a currency pair, the pip value is fixed, as discussed above. However, when the USD is listed first, the pip value will vary based on the current price of the pair. To find the pip value of a pair where the USD is listed first, divide the normal pip value (discussed above) by the price of the forex pair. For example, to find the pip value of a USD/CHF micro lot, divide $0.10 by the current USD/CHF price. If the current rate is 0.9325, then the pip value is $0.10/0.9325 = $0.107. For the USD/JPY follow the above procedure, but then multiply by 100 to get the proper pip value. Here’s an example using a standard lot: $10/107.151 = $9.33; this how much each pip movement will cost if you have a one standard lot position. Risk too much on each trade, and you can blow out your account … quickly. Risk too little and your account won’t grow. 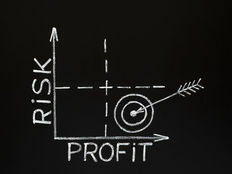 By risking about 1% of your account each trade, risk is managed, so even a string of losses won’t significantly hurt the account. 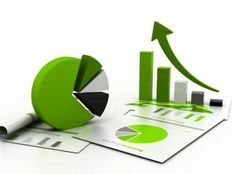 If you make more on your winners, say 3% to 5%, than you lose on your losses, the account can still grow quite quickly. Set the percentage you’re willing to risk, and don’t change it. On each trade establish where you will place your stop loss, determine the pip value if needed, and then calculate the ideal position based all this information. The ideal position makes sure you are trading in alignment with your plan. You’re not risking too much, or too little, but rather taking on nearly the same amount of risk on each trade. After all, in advance we don’t know which trades will be profitable and which ones won’t. This is why we take a similar position size on all trades.